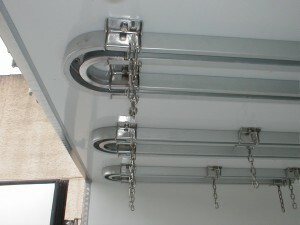 Guides built on the roof for the meat transport hanging in a refrigerated van or truck. Made of stainless steel, suitable for contact with food. The meat guides are completed with curves for recovery of hooks.